FASTCORP is back once again with a brand new mod: the Autogarage! The Autogarage is a compilation of real-life vehicles converted for use in KSP! I don't know if you got the memo, fast_de_la_speed, but it's Kerbal Space Program, not Kerbal Auto Program! Yes, of course. I knew that. However, I felt that it would be excellent if I could have a way to pick up landed Kerbals too close to pick up by plane and too far to walk. Also, it's for speedily tackling those long off- (or on-) Kerbin rover trips in style. So tell me more about this mod. Certainly! First off, none of the vehicles in the first release are originally created. They are converted from to KSP, from GTA format (or others), and used with proper permission. Take a look at the albums to check out the vehicles. Most of these vehicles have alternate textures, using FSTextureSwitch from Firespitter. Almost all of the vehicles have an internal model, and most of them have a functional steering wheel, speedometer, fuel meter, and a car key, using RasterPropMonitor. The key is used to turn on the "engine", which works just like the Rovers'N'Roadsters mod. The Jeep Wrangler does not have any internal props at the moment. Most vehicles have toggleable headlights and work great at night. If you have TextureReplacer installed, vehicle side mirrors will have world reflections! All tires have been moved to the new "ground" category. 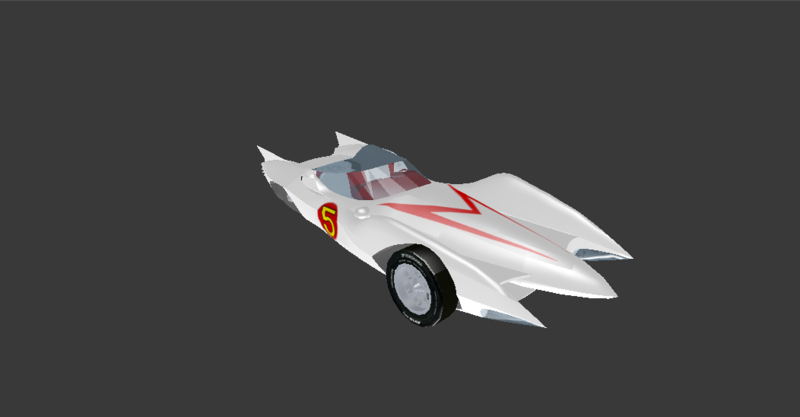 Mach 5 model looks smoother. Porsche 944 Turbo, VW Bus, Tesla, KITT, a Crown Victoria, F-1 1949, Corvette '59, BMW GTR, the Ecto 1, and a large Peterbilt truck. Last major update, bug fixes and compatibility updates from now on. Totalling exactly 200mb, this is the largest mod i have created. Want to play with the mod? You've got some stuff to do first. This is a critical step as the car wheels do not work with the standard values. This is because KSP creates a collision radius around a wheel that detects if the wheel is "blocked", say, inside a fairing or retracted. With these cars, the wheel is naturally too close to the car collision and the result is a wheel that is always "blocked", and therefore unusable. Download RasterPropMonitor for functioning steering wheels, car keys, and dashboards, Firespitter for colour changing, and Texture Replacer for reflective mirrors. Yes! Please remember to press the 'S' key right after selecting a tire in the SPH, or the tire will be rotated incorrectly and not work. 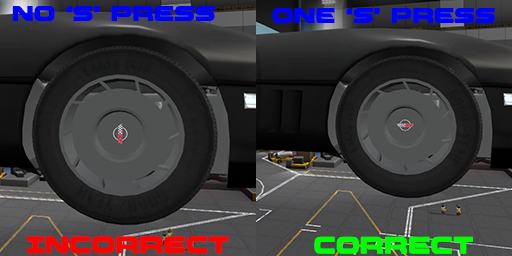 Also, because KSP is not made for vessels such as cars, the tires will have wonky physics in certain situations! This mod is licensed under CC-BY-NC-ND. I suggest using IntakeAir like an intake and have that used for power, or intake + liquid fuel, it is possible to do. For your wheel blocked issue, correct me if I'm wrong, but I think there is an ignore wheel collider tag for the config. Never mind, I keep looking for a reference but can't find anything. I must have imagined it. Location: Either playing KSP, Tanki Online, or watching Race to the Edge. Can you please add the Ariel Atom? I've been looking for a game that has it and this is the perfect opportunity. It's really cool! I'll try and see if I can find a model for the Atom. its out at last thank you oh thank you! I rescaled the models to 0.80 which is 65%, is there a way to rescale the internals. I really like the models. Nope, not yet. I'll be rescaling the models down to that in the next release, which will come in a bit because I've got exams to study for. hey love the mod, the cars look awesome. it would be great to see the delorean time machine from back to the future, and or a lamborghini countach in the mod next. i downloaded the mod and rasper interior thing, and I followed instructions, I double checked, and I played but I don't se ethe cars in SPH or VAB is it because of other mods? Thanks! It was such a surprise! Omg is this for real?! I was dreading dealing with the wheels in the current state though. Hopefully 1.1.3 (which I expect soon) will have a better solution to your collider problem. Well I own a red 2008 Ford Ranger, so that would be amazing, but something like an F150 would probably be closer to what the average player would expect. I am thinking on making the video soon it should be ready in a couple of weeks time. Thanks fdls i was having trouble with finding it as well. EDIT: Windows copied files over incorrectly, I have it now! Yes, thank KSP's physics for that. Try pressing caps lock for precision controls or using a game controller for finer car controlling and less rolling.